Truly a piece of world history! 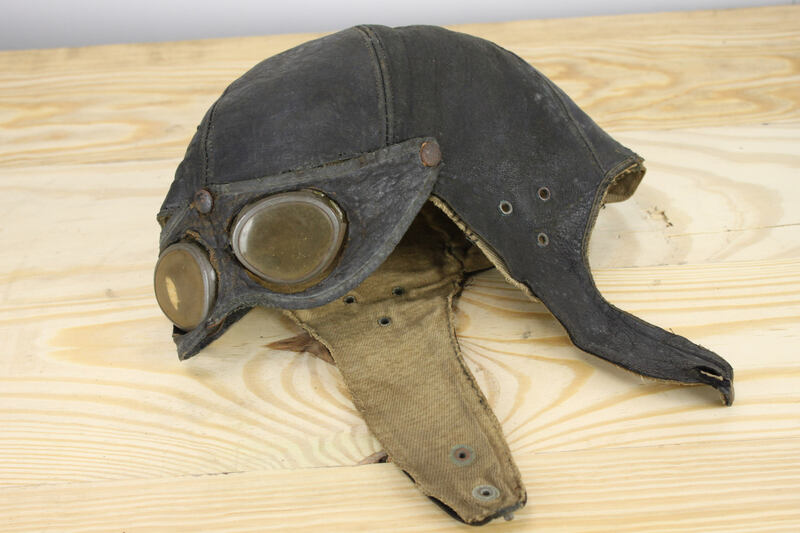 This rare and exceptional example of an early aviation flight helmet is in remarkable condition for its age and is 100% complete! 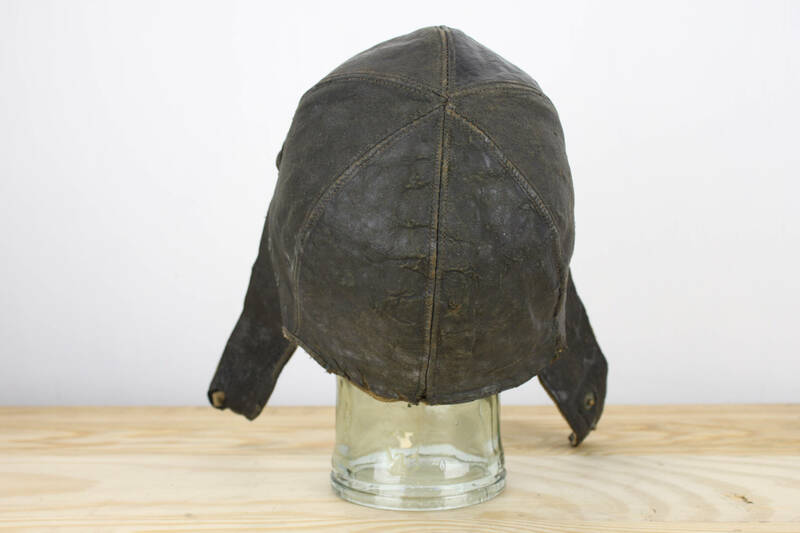 This helmet is constructed from a supple and thin leather - providing for not only a glove like fit but also superior wind protection. 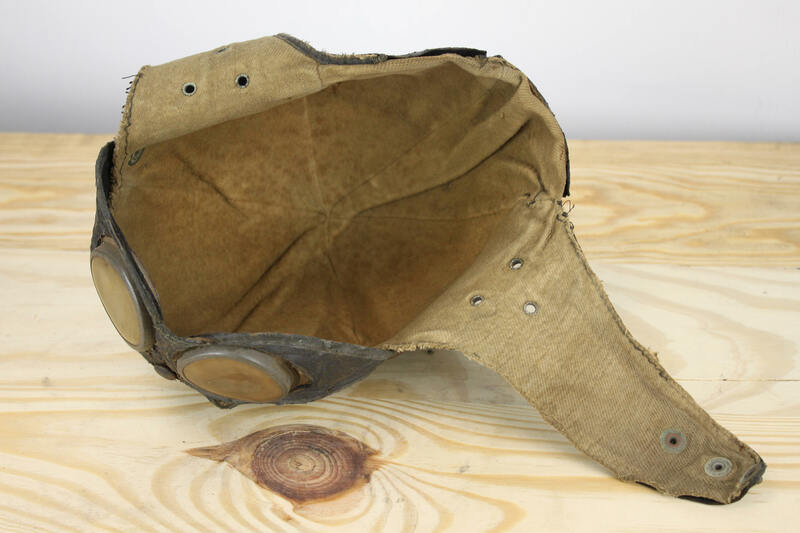 The interior of the helmet is lined with a heavy beige velvet and has three brass snap button on each chin flap. 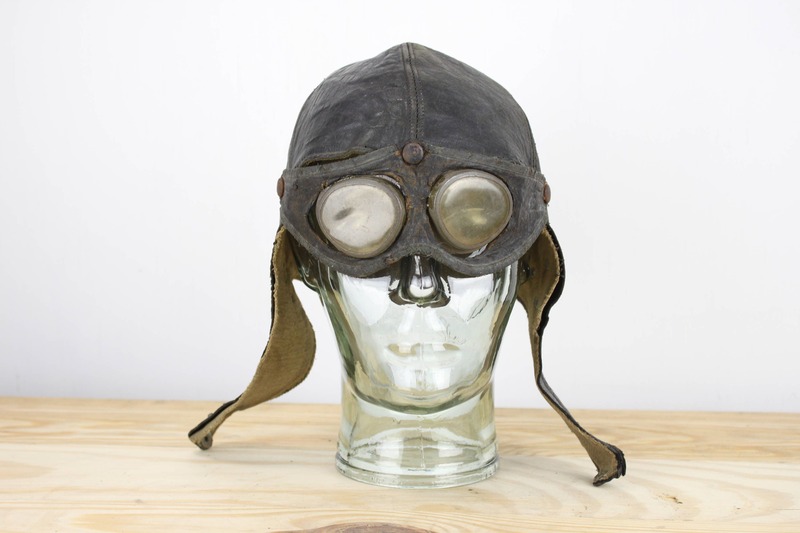 The helmet features a unique pair of "breakaway" goggles! 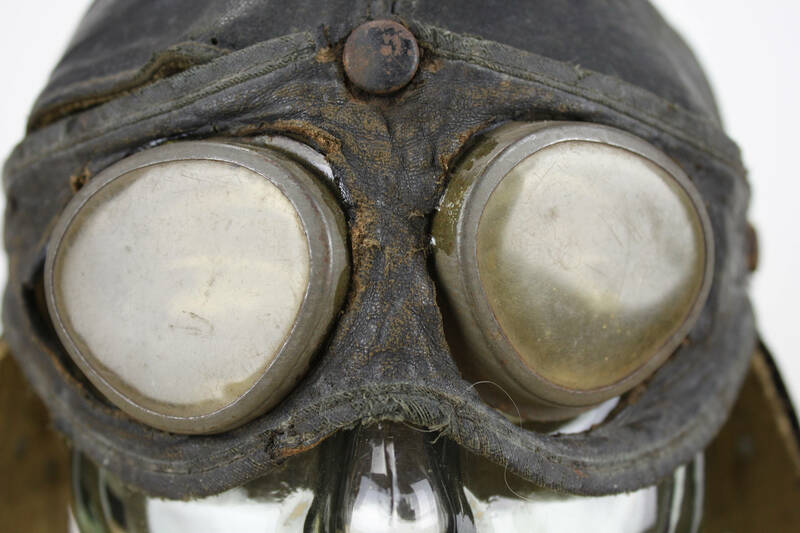 The goggles are constructed of resin lenses with tin bezels which were glued onto the the leather body and mount to the helmet via 3 brass snap buttons. 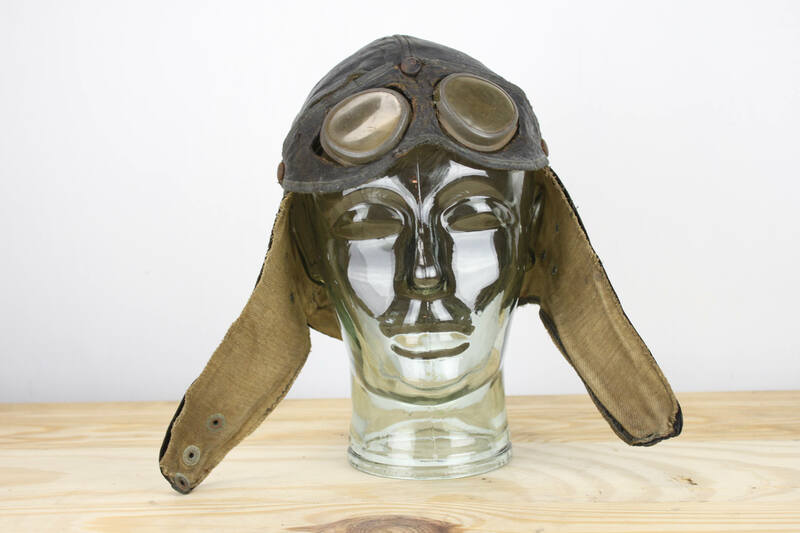 This helmet was most likely produced between 1910's-1920's and could have even seen service in WWI! 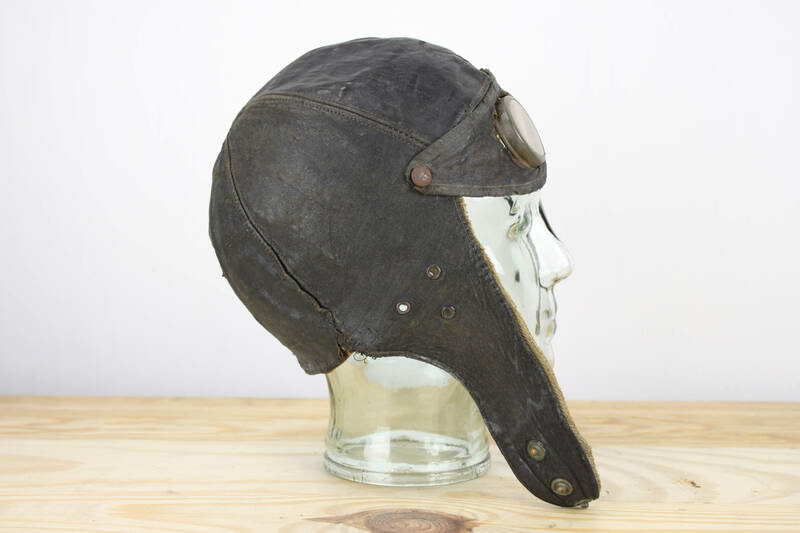 As this helmet is about 100yrs old it does have some age related condition issues. 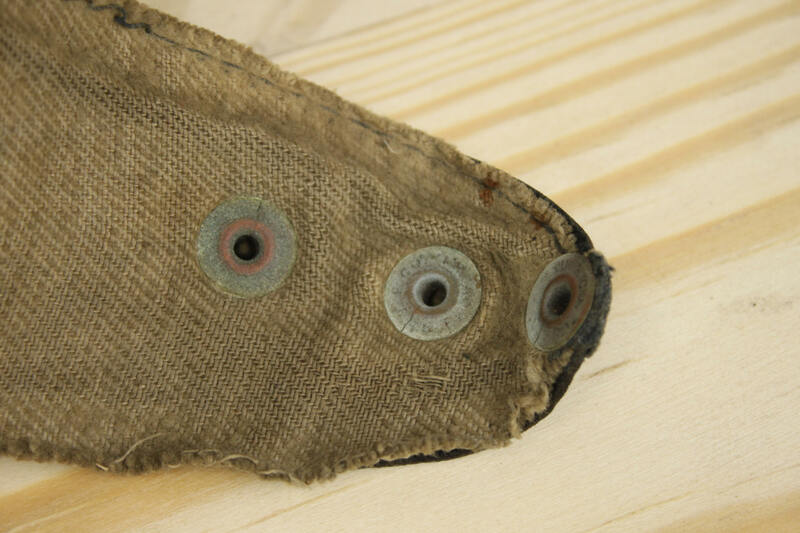 some of the leather has dried, most of the velvet pile has worn away, there are some holes in the leather, a few vintage repairs on seams in the back of the helmet, the snap buttons have oxidized, the lenses have yellowed and the glue on the lense bezels has mostly let go. 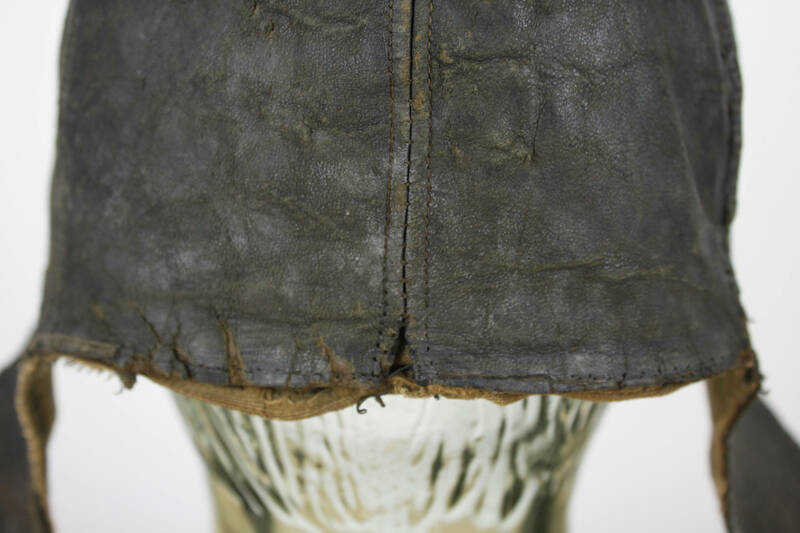 However, It is a miracle that this helmet has survived at all - let alone is such complete condition! Please contact me for additional pictures or information as needed on this wonder! 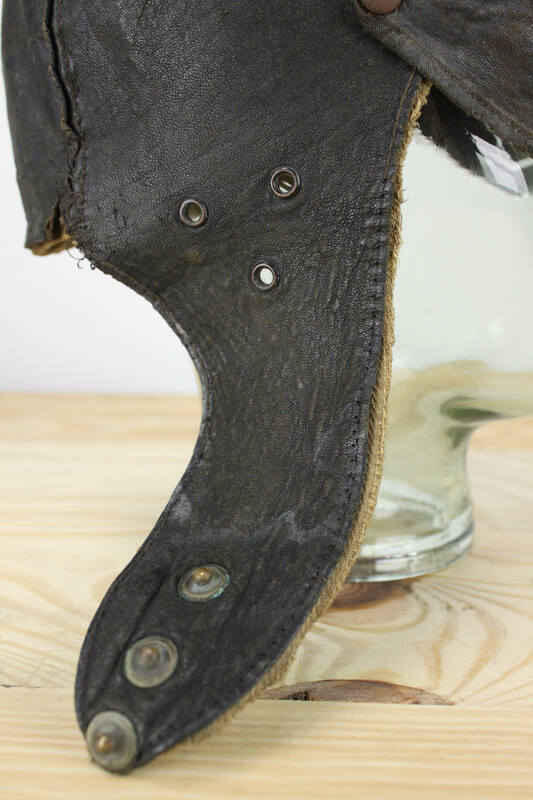 - flap to crown: 13"
- front to back: 10"